Now for sale is "Twin Lakes Ranch", a 1362 +/- AC prized portion of the famed "La Perla" ranch designed by Dr. Gary Schwarz, who foundedTecomate Seed Companyand became famous for growing giant native whitetails, and has been recently regarded for his accomplishments in bass management. The two beautiful private lakes are stocked with adult La Perla bass out of Schwarzs renowned La Perla Lake, and with the owned pumping rights have the potential to be incredible private fishing reservoirs. Of all the ranches in the area, the Twin Lakes portion of La Perla has arguably the most diverse topography with high look-out points and captivating views. It has an undeniable romance to it. The native whitetail herd is outstanding and this property has been featured on numerous TV shows including "Buck Commander", "The Bucks of Tecomate", and has been hunted by the CEO of Leupold, NFL pro-bowlers etc. DESCRIPTION & HISTORY: The La Perla Ranch area has a truly unique story, and was part of the original land grant given to Jose Vasquez Borrego by the King of Spain. Borrego was given his choice to settle anywhere in South Texas and he chose the La Perla area for his own. Founded in 1750, his settlement is said to be the one of the oldest in US history. Arrowheads and other Native American artifacts have been found on the ranch, creating additional recreational opportunities. -- Dr. Schwarz's original famed "Tecomate Ranch" became one of the most well known ranches in the history of South Texas, and was a mainstay Texas destination for RealtreesMonster Bucks and "The Bucks of Tecomate" TV shows for close to 20 years. 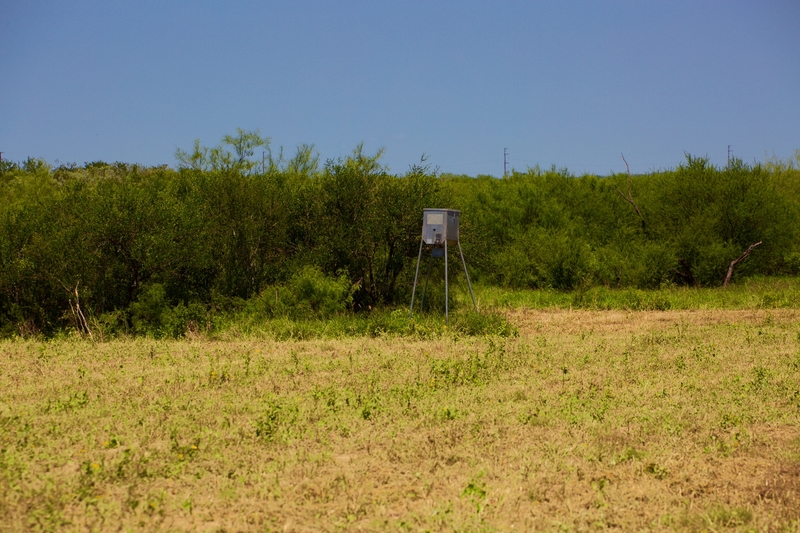 Tecomate has long been famed as one of the best native deer ranches in the world, largely due to the Tecomate management system and Dr. Schwarz's introduction of Lab Lab and warm season food plots, which revolutionized common management practices. 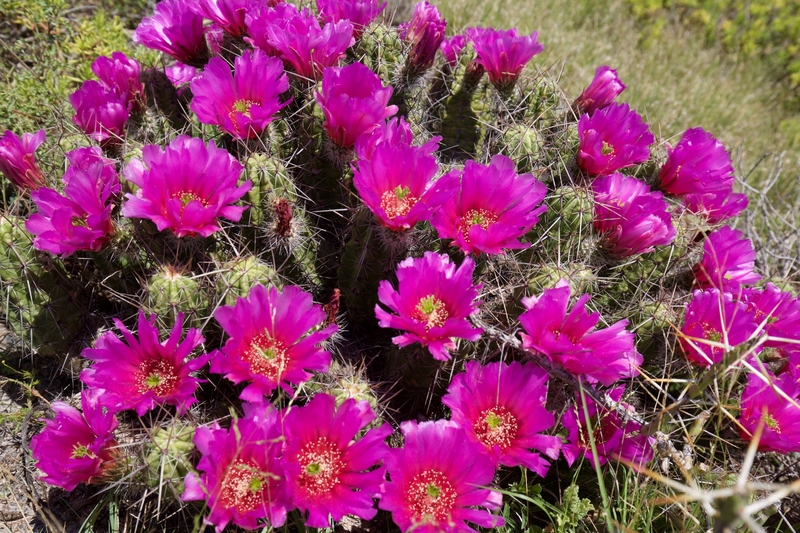 Dr. Schwarz initially bought the entire 16,000 AC parcel known as "La Perla" as an investment to divide, but soon decided to keep 3,000 acres in the middle of the block after realizing the ranch had potential for much more than big deer. 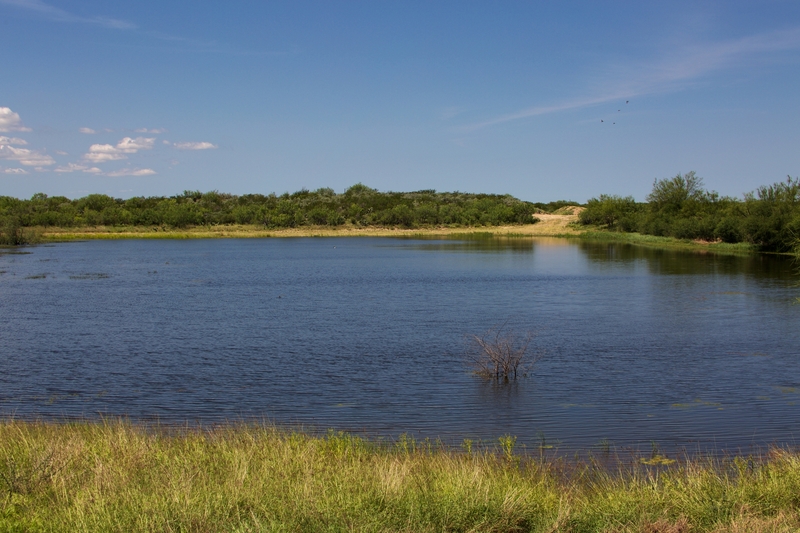 The water rights created an opportunity that was extremely unique for far S. TX, allowing for lakes to be kept full, and the presence of clay in the soils allowed for them to hold well (as opposed to Tecomate's sandy loam soils). 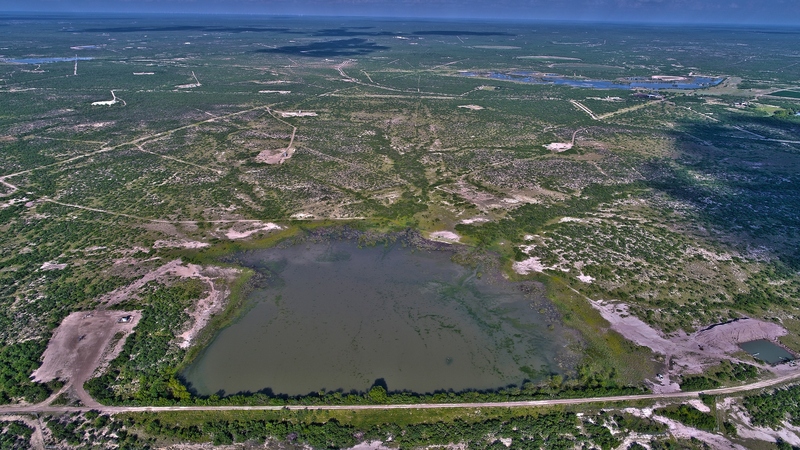 This also created the opportunity for lake development, exceptional waterfowl hunting, and irrigation for food plots, all things that Tecomate could not offer. Having already pioneered the concept of growing huge native deer via food plot nutrition,Schwarz embarked on a project to grow record sized bass using a similar nutrition concept that had proved extremely successful for deer. It wasn't long before Bassmaster Magazine, Outdoor Life, Field and Stream and many others were writing articles calling La Perla "the single biggest project ever undertaken for the purpose of bass fishing". In the process, Dr. Schwarz's interest in Tecomate lessened, he realized he had fallen in love with La Perla, and ultimately decided to sell the iconic Tecomate Ranch in order to focus all of his future efforts toward his projects at La Perla. The Twin Lakes portion of La Perla was re-purchased by Schwarz when he sold Tecomate, as he realized value of adding its water resources, having its own pumping rights andseparatepipeline network that would be a huge asset to his neighboring 3,000 Acres that Dr. Schwarz has owned from the beginning and plans to keep forever. The Twin Lakes portion is only now being offered for sale to fund further lake projects on his property next door. Twin Lakes offers the same potential as a sportsman's paradise, including world class native whitetail deer, dove, and quail, and waterfowl hunting as well as potential for world class bass fishing. In addition to the potential as an incredible private bass fishery, one of the top public reservoirs in the country, Falcon Lake, is located only 30 minutes away. In order to protect the La Perla neighborhood from becoming divided into "ranch-ettes", a restriction limiting division to 500 AC parcels is in effect. Owner may consider selling in two parcels in the 500-800 AC range, but no smaller than 500 AC. 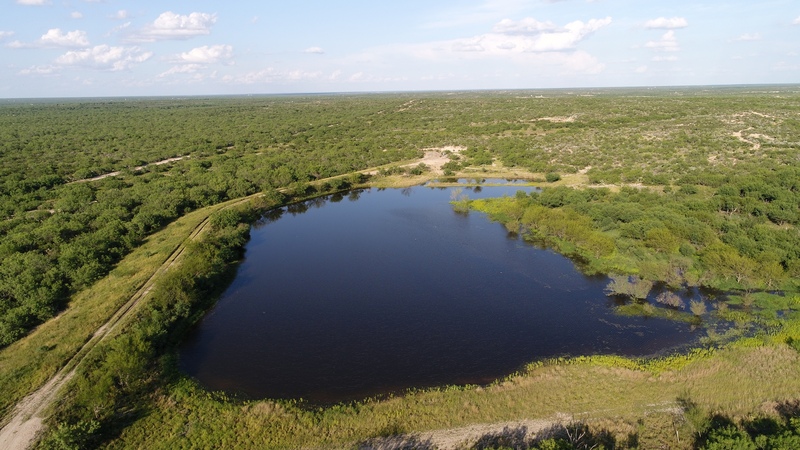 IMPROVEMENTS: "Twin Lakes" of La Perla is fully game fenced, and has several miles of large water lines running throughout the ranch feeding multiple water points for wildlife and providing the opportunity to pump fresh water into the lakes and irrigate food plots. 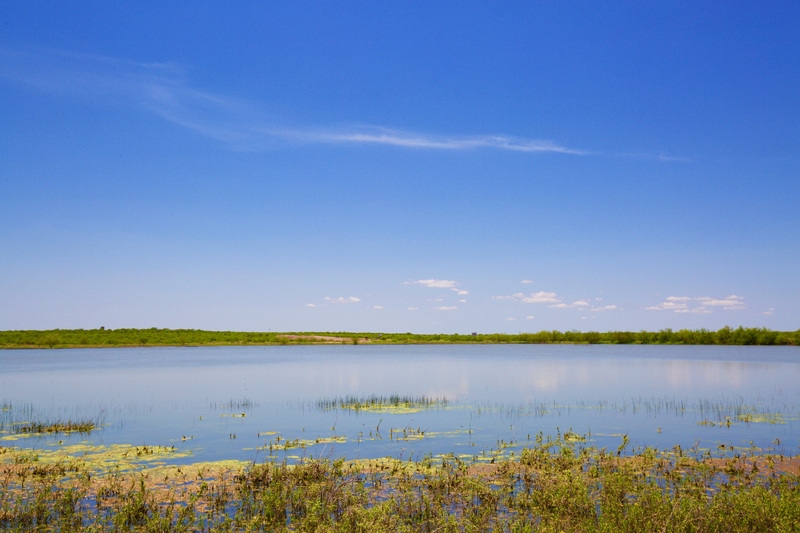 Water is becoming an incredible asset in TX real estate, and will likely continue to become even more valuable, making the water-rights and volume capabilities that come with "Twin Lakes" extremely rare. Water can be pumped through a 10-inch line at an incredible 1500 GPM into the front lake, and can be pumped over 2 miles to the back lake through a large line. There is a significant pumping facility on the property that can boost water to the back of the ranch, as well as neighboring La Perla ranch as well. 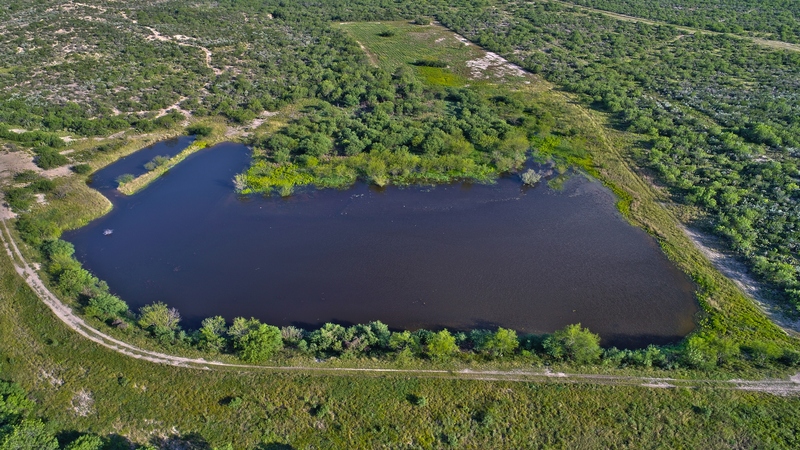 The property already has a water master agreement in place, and the water rights from the Rio Grande River that will be conveyed with the property total 9.7 acre feet of Class B water rights, which will allow up to 3 million gallons of fresh water per year to be utilized. Additionally, having water right ownership enables the owner to go on the market and buy as much additional water as they want. There are also 2 pressurized water supply meters for domestic use. WILDLIFE cont. : "Twin Lakes" has maintained a MLD 3 status with extreme selection in harvesting and extensive game surveying of the property. Harvest data is available upon request. As mentioned, outstanding dove, waterfowl, quail, and private water fishing, as well as proximity to renowned Falcon Lake make this property an incredible wildlife resource. WIND RIGHTS: The Seller currently owns 100% of the Wind Rights, of which he will convey 50%. The potential for a new owner to lease the Wind Rights are believed to be high, and this could be a good potential future income generator. 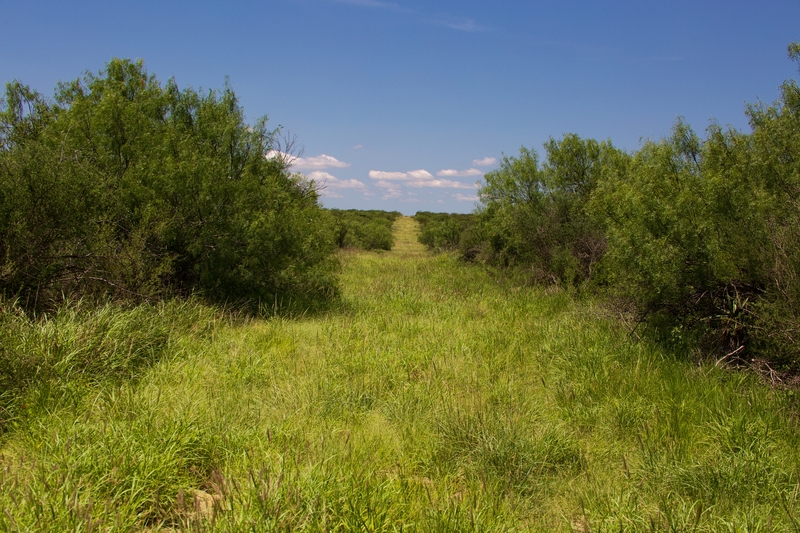 HABITAT: The ranch has a great brush community, which produces high quality protein browse conducive to growing trophy deer. LOCATION: The ranch is located in northern Zapata County, not far from the Webb County border and approximately 18 miles south of Laredo, Texas.